The wonderful concert given by the choral scholars of St John’s College on September 2 raised £7,000, with ticket sales and donations. 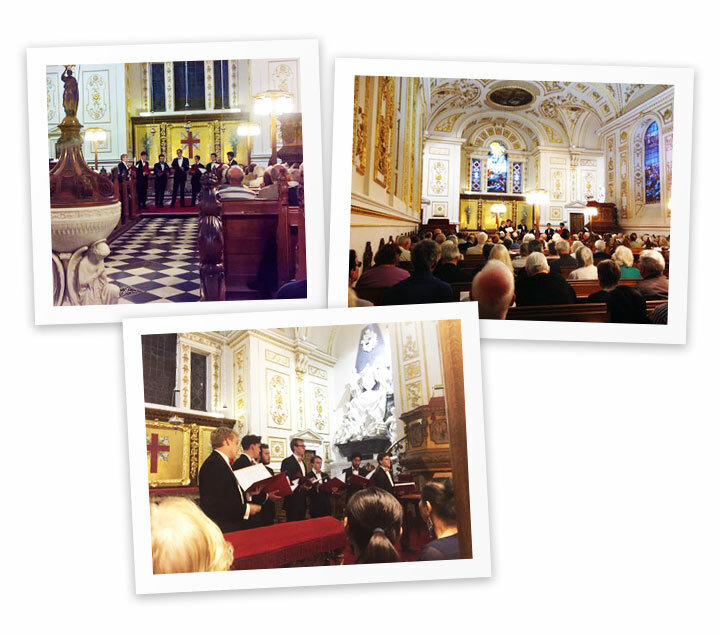 The beautiful baroque church of Great Witley was absolutely full and proved the perfect setting. Our thanks to everyone who contributed to making this a splendid evening and a most successful fundraising event. And a special thanks to Ballard Dale Syree Watson chartered accountants who sponsored the concert, MFG Solicitors who sponsored the drinks, provided by Addisonwines, and Creative Folks who designed the most impressive programme. The funds raised will go towards the charity’s work with the deaf children of Myanmar. 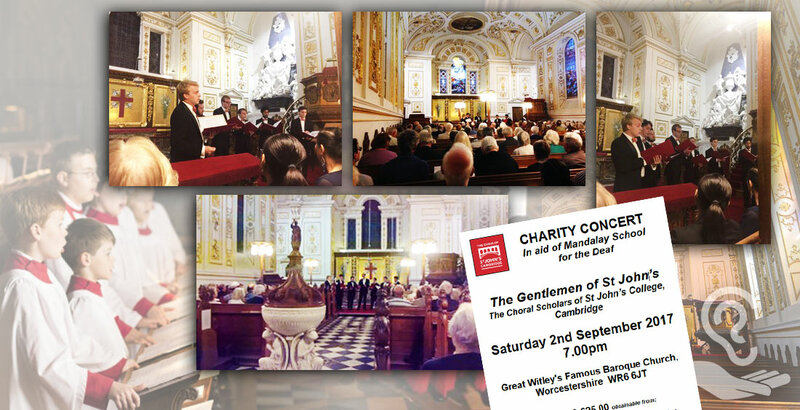 The concert celebrated the life and work of the charity’s founder, David Blakeway Smith MBE and The Venerable Robert Jones, Archdeacon of Worcester, a family friend, gave the audience a personal and moving insight into the lives of the late Sandy and David Blakeway Smith. The seven choral scholars from the world-renowned choir of St John’s College, Cambridge, who gave the concert, enthralled the packed audience by singing a repertoire of close-harmony arrangements, ranging from early sixteenth century to contemporary.